Call 336-265-5233 for Reliable Termite Treatment! Don’t let a few bugs or rodents intrude in your personal life. You need pest control that you can trust to get rid of them the first time around. 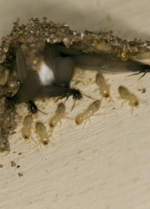 We provide both termite inspection and termite treatment to terminate those pesky punks and rid your home of them. If you live in Greensboro, NC and need exterminating service that you can count on, we can help you now! Dead Pest Society has offered full service pest control to the residents of Greensboro, NC and the surrounding areas since 2000. Nobody likes a bothersome bat flying around where it's not welcome. Bat removal is not a bother for us, and neither are the many separate wildlife removal services we offer. We are family owned and operated and a woman-owned business, serving the surrounding areas with exceptional exterminating service. If you’re experiencing a pest problem, it’s best not to wait. 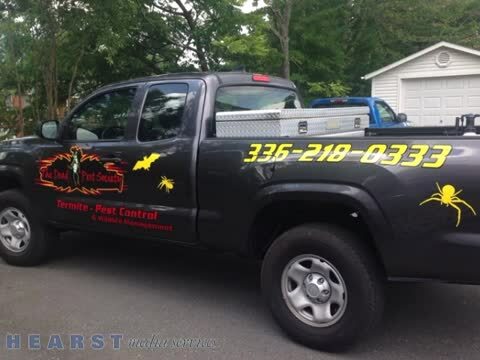 Call 336-265-5233 today for a quote for extermination services or wildlife removal from Dead Pest Society! We offer humane wildlife removal and bat removal! If you're facing a problem with stubborn bugs or rodents, it's time to take action. Pest control services from Dead Pest Society are a proven method for restoring your home to its pest free state. Whether you need wildlife removal for your property or termite control for the interior of your house, our trained extermination team can rid your home of the problem. Dead Pest Society offers pest control at its best. If you are faced with an infestation or rodent problem, it's no issue to us at Dead Pest Society. We work in all aspects of wildlife removal to deliver the best service we can. 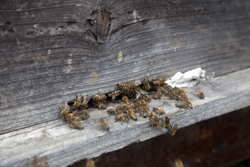 Wildlife removal extends to all types of insects as well as mice and bats. To hear about all of the services we can offer, please call 336-265-5233 today. 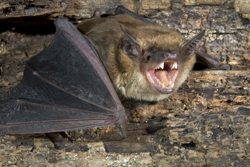 With our bat removal and wildlife removal services, we can put all of your worries to rest. This is an affordable, fast and professional exterminating service that eliminates the not-so-friendly creatures of Greensboro, NC. Bats can be a true problem. They can sometimes carry diseases too. If you have a bat in your attic or know that they are getting in to your home, let Dead Pest Society address your concerns. We take care of the problem from the source, stopping the entry. Give us a call today for additional information! Dead Pest Society is fully licensed and staffed by highly trained technicians who will put great effort into proper termite inspection and termite treatment. We are fully committed to ridding all clients of their pest problems today. We are a residential and commercial pest and wildlife management company putting your pest control at the top of our priorities. For more information on how we can help, please visit our homepage. If you have some unwelcome guests and want them gone ASAP, then our pest control services are perfect for you. Pest control is what we do best here at Dead Pest Society of Greensboro, NC. Live peacefully knowing that the incessant buzzing is gone. From termite inspection to termite treatment, we will have your home safely under control in no time. If you’re being bugged by roaches, rodents, and ants, it’s time to claim your property and your life back. Call our reliable exterminators at 336-265-5233 today! Be proactive! Ask about our scheduled maintenance programs! Residential & Commercial Pest Control, Free Consultations & Inspections, Moisture Control, Drainage Work, Vapor Barriers, Ventilation, Free Inspection, Basic Coverage Agreements, Target Pest, Quarterly Pest Services, American Roaches, Brown Banded Roaches, German Roaches, Oriental Roaches, Mosquito Control, Smokey Brown Roaches, Mice, Rats, Silverfish, House Ants, Spiders, Yellow Jacket Nests, Centipedes, Wasp Nests, Fleas, House Crickets Bat Removal, Termite Treatment, Licensed & Insured, Contract Available and One-Time Service.